The Dividing List is a mandatory document required to obtain the Vehicle Type Approval and to register the vehicle, if your company is the manufacturer of the finished vehicle and have the international WMI code. The Chassis Approval (or the Dividing List) shall be issued together with the company from which the basic vehicle is purchased. The document specifies the numbers and the names of the requirements of the Technical Regulations No. 720 dated 10.09.2009. Various requirements apply to each specific type of the vehicle depending on its type. A list of requirements is drawn up specifying who is responsible for what in the finished vehicle. For instance, the manufacturer of the basic vehicle chassis typically bears responsibility for the brakes or the steering system. The original equipment manufacturer (OEM) is responsible for its modifications, e.g. for installation of the van or the articulated crane. To obtain the Dividing List, an approach to all companies manufacturing chassis or basic vehicles is required. Over a period of 14 years, MIC Center has gained en extensive experience in drawing up approvals with almost all famous vehicle manufacturers and has issued more than 1500 Dividing Lists with domestic plants (KAMAZ, MAZ, URALAZ, GAZ, UAZ), foreign plants (Mercedes, MAN, Volvo, Iveco, Renault, Scania), and several dozens of chassis and special-purpose vehicle manufacturers. If you choose us, you will receive professional advice on which requirements are applied, time required, the list of necessary documents, and the price of your Dividing List. To apply for the Dividing List, please call us at +7 (495) 363 43 54 or use the form below. You can save your time and money, if you fill in the application and the technical description yourself in the official formats. Please, send the archive with documents to admin@mikcentr.ru or using the form above. If you do not have some of the documents (except for the incorporation documents), we will promptly draw them up on turnkey basis. For further details on how to draw up the technical documentation, please read Documentation development section. To collect the approval, you don’t have to visit our office. The signed document can be sent to you by post or a courier service. Typically, the document has two parts: the approval protocol of mutual obligations and the dividing list. The first part is similar to an agreement stipulating all legal obligations. The second part is like the annex to the agreement which contains a table with a list of the Technical Regulations requirements and the names of the companies responsible for the corresponding items. As a rule, the right of first choice of the list of requirements for which the responsibility shall be borne is given to the manufacturer of the basic vehicle. The terms greatly depend on the amount and quality of available legal and technical documentation, and the manufacturer of the basic vehicle itself. If you already have all required documentation drawn up as per the manufacturer’s requirements, the approval may take from one week. If the documents are not available or they require finalization, the term will increase by the time necessary for preparation of the documents. Our experts have extensive experience working with vehicle manufacturers and know how to obtain the documents faster. Owing to the fact that we have issued more than 1500 approvals, we know in detail all requirements and possible comments to issuing the documents and can avoid them beforehand. If several types of vehicles are planned to be produced based on one or different basic vehicles from one manufacturer, several modifications can be included in one Dividing List. 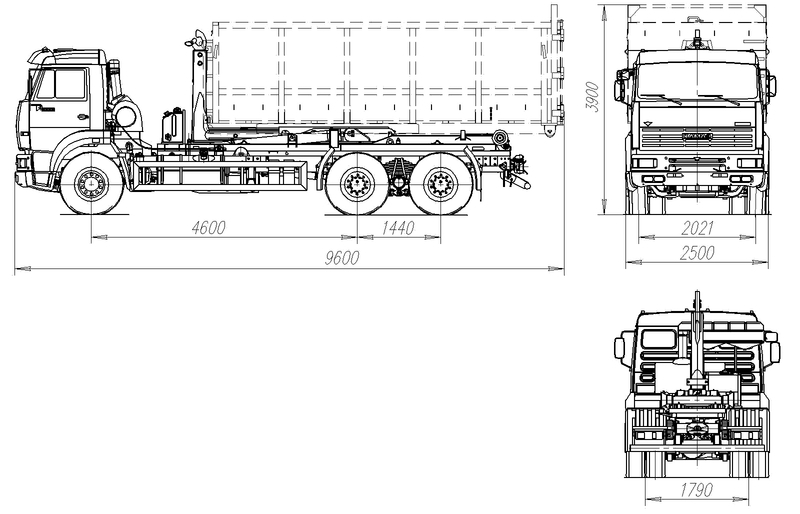 For instance, if you produce dropside trucks with a truck loader crane (TLC) of various hoisting capacity based on once chassis, all modifications of the finished dropside truck with TLC can be included in one document so as to avoid paying for approval of each modification. Over a period of 14 years, MIC Center experts have developed various approaches to obtaining the Dividing List and will advise you on how to get the document faster, how to save, and how much the approval will cost. To get advice, call us at +7 (495) 363 43 54 or send the application by clicking the ‘Apply’ red button below.